The Dental Tourist: 10: BEST CREW EVER! 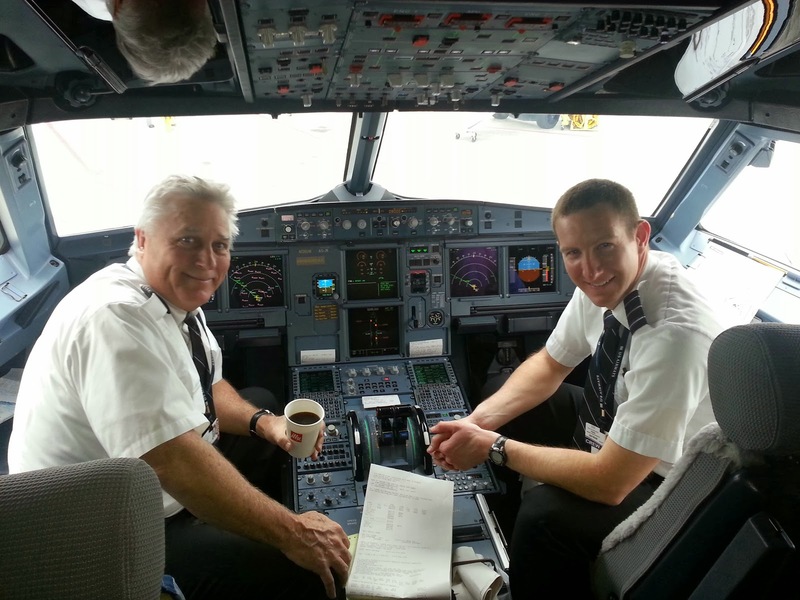 Take off from Charlotte to Costa Rica delayed by 30 minutes but that is OK because our pilots Chris & Tom are fantastic ! So is the flight crew. Total 180 degrees difference from first flight. Yep that is me in the pilots seat. 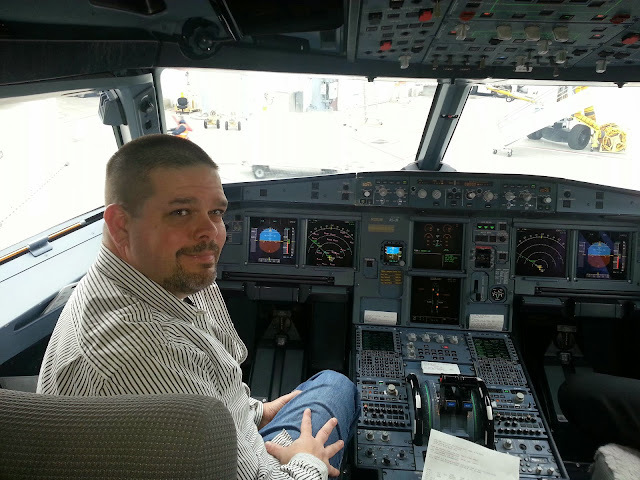 I didn't even ask...the captain asked me if I would like to sit in his seat. "Hell ya I would!"